We’ll help choose the right meal plan for you for just £6 per meal. THE most fantastic, fresh, healthy meals, delivered exactly on time. The staff there, especially the lovely Daisy are amazing. When I say they have saved my life, I do not exaggerate. I live in Northern Ireland and there are many, many places who deliver food but NONE of it is healthy.I have MS and Cancer, am frequently house bound and have almost no help. These really generously sized meals are so delicious and satisfying.The freshness is a delight, their suppliers are to be congratulated too.Give any of their products a try, it will all be delicious.Heartfelt thanks again to this brilliant Company.They really care about their business - it shows in everything they do. As a yoga teacher I value health and wellness. Macro meals have always delivered exceptional quality every time. There is such a variety of meals to choose from to assist with my clean eating diet. I am so happy with their vegan range, and totally recommend it to those who also follow a plant-based diet. Thanks Macro Meals! Just got my first order of meals and they are fantastic. Really tasty, good size portions and great value for money. Love the Cajun rice! Furthermore the customer service from the team is first class - we had a minor issue with my delivery but the team at Macromeals got onto it and sorted it straightaway. Highly recommend. A huge variety of food on offer and a user friendly website! Ordered 5 to start with and they arrived very quickly. Each meal was delicious and great value for money. Will definitely be ordering again! Macro Meals is seriously so amazing. The food is fresh, affordable and delivered at its specified time. This saves me time and takes the thinking out of lunch time and helps me to stick to my macro goals and fitness goals! I ordered 7 meals from Macro Meals last week to have for lunch and dinner, 3 overnight oats for breakfast and a protein bar. I can honestly say everything was AMAZING. I just love how I can eat healthily without the time consuming effort it normally takes. The meals taste lush - every single one I had - and stay fresh for the whole week. I’ve done my next order already, my Mum’s and also my friends - truly worth every penny. Thank you so much! This company have no idea how good they are! Food is delicious, so good my 8 year old son is now a massive fan, portion size is generous, variety/choice excellent. They are streets ahead of their competitors on all levels. The time saving benefits in our busy lives is fantastic. My Monday to Friday eating habits are solely from Macro Meals - keep up the good work Tom and the team!! My life is complete now that I found you. Thank you for the delicious and healthy food, the macro breakdown and for the wonderful convenience of online ordering and seamless next day delivery. Tell us what you like? How often would you like your meals delivered? 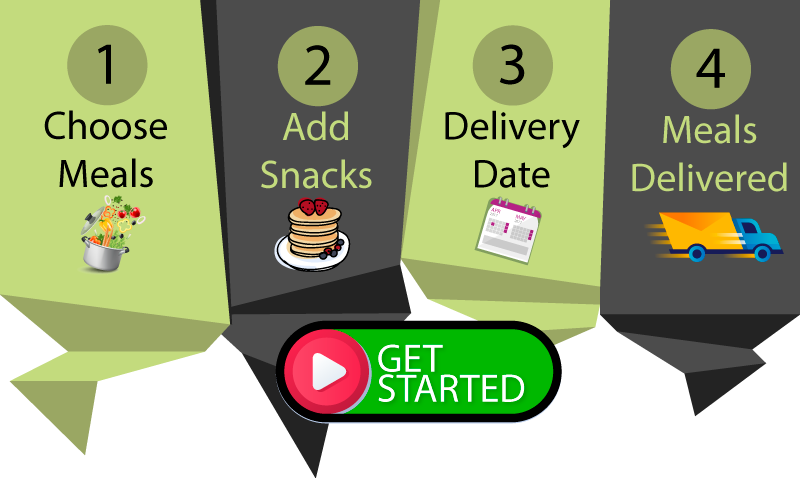 Please repeat the meal plan selector and try different answer combinations.